Growing up I thought everything I ate and craved was completely typical. It wasn’t until high school when I started getting strange looks when requesting food that I started to realize some of my favorite treats were not as popular among my cohort as I expected. Things like prunes, V8 juice, raisins, marinated artichoke hearts, broccoli, etc. are just plain delicious to me. Knowing I have somewhat vintage cravings makes me think my most recent culinary adventure (brussels sprouts) will not immediately be made by many of you, but you have to have these! You will not be sorry you did. 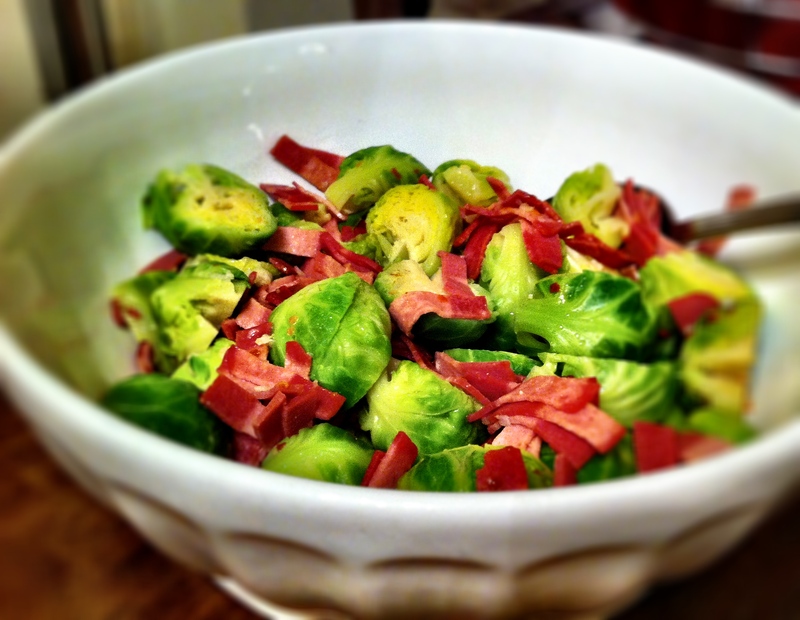 The butter and garlic give such great flavor and by boiling then sautéing the brussels sprouts and adding the crispy turkey bacon it adds a warm smoky flavor that cannot be beat! P.S. These make a great vegetable side dish for Thanksgiving! always looking for a new recipe for brussel sprouts, have been obsessed lately. thanks for sharing this, can’t wait to try it.